This is Pasadena's only skyscraper and it may be in danger. It has a chainlink fence around it and looks empty. Does anyone know its status? According to Stephen Fox in the AIA Houston Architectural Guide, it was designed by MacKie & Kamrath with Lloyd Borget and Doughtie & Porterfield and built in 1962. It is described as a distinctive 12-story tower consisting of a glass-curtained shaft that appears to project forward from a brick-faced spine containing the stairs, elevators and toilets. 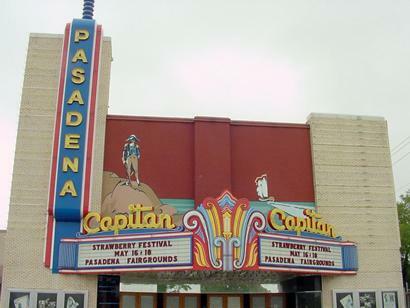 It would be tragic for Pasadena to loose this landmark. It is the only positive image I have of Pasadena architecture. what makes you say it's in danger? This bank's picture used to be on my PISD Report Cards circa 1976.
there is a construction fence around the property and a for sale sign describing the acreage only. Me too. It would be sad to see that building go. The mall behind it is in bad, bad shape. me too. fisher elementary PISD, 1972. moved to conroe after that. My former girlfriend worked for Tenneco in that building in the mid-80s. Nice building, back in the day. Nice girl, too, but that's another story. i drive by this building every day on my way to work. it is an architectual gem and i hope it's not in danger. I heard that it will be replaced by a Super Target. Don't think that I have seen that in print - just word of mouth. Don't diss Pasadena Town Square - it's no Galleria - but for heaven's sake, it has Foleys, Sears and Dillards, and a Mervyn's across the street. I'm really surprised...since I can't think of any other mall that is not located next to a freeway. My issue with Pasadena Town Square are the stores, or lack of, in between those anchor stores. a high-res close up of the top i took a while back. I'm so sad. What a great building and landmark. Couldn't they at least save the great glass feature along the roof? I went today to take some pictures of this gem. I encourage everyone to go for a look and a walk around the perimeter before it is gone. Buildings like this one come along so rarely. Pasadena will not be the same without it. It's probably the only decent building in the town. I'm sure there is a story behind its construction - enlightened management of the bank providing an architectural gift to the local city or something of the sort. The exterior details are well worth the extra attention. Note the 1963 plaque near the entrance with the names of the architects in a little square...very Frank Lloyd Wright. I wish I could get inside to see the spaces within! Go now, before its gone! this past weekend i went by again, and it is in the same state as before. how long to pasadena permits last? was it a hoax? that this is a hoax... how upsetting! I didn't see this thread before...I was just down the street from it an hour ago, but didn't know it was in danger, so I didn't even look. Is the building still there? I remember marching past Pasadena's "skyscraper" in the Strawberry Festival Parade as a member of the Beverly Hills Bears marching band. I was born right down the street at Pasadena Bayshore. Funny, as I drove around Pasadena tonight a lot of memories came back. I really like Pasadena. One of the best parts of Houston, in my opinion. Definitely an underappreciated city. I totally agree with everyone. I used to work in that building, and it was almost totally empty (to the point of being creepy). I think that it's an awesome example of mod architecture and that it should be preserved. But on the other hand, this IS the Houston area, and if there wasn't already a CVS across the street (or a Wal-Mart down the street) from it, I'm sure that they would have built one there. Which used to the old school 1950s Sears store. I used to work in that building, and it was almost totally empty (to the point of being creepy). I think that it's an awesome example of mod architecture and that it should be preserved. what was it like inside? how long has it been empty? I'm not sure how long it's been vacant. I worked there about six years ago in an office, and it was one of two occupied suites on that floor. The bank that was one the ground floor moved into a new building across the street about two years ago. I drove through this part of Pasadena today and circled this building. It looked like there were another couple of large parking lots up for sale adjacent to the building, and considering the high costs of demolition and what has to be relatively low costs of land, it would surprise me if it made sense to tear the thing down. It's one thing to see high-rise teardowns in the CBD, where land can often go for $60 to $100+ per square foot, but for five acres in Pasadena without an immediately-accessible freeway? Something is very odd about this. Anybody know what the asking price is? That photo reminds me of the S&R I building at UH. The roof of which, by the way, is a great place to view the Houston skyline(s)...including the Pasadena refinery skyline. That's interesting. I had someone tell me exactly that same thing the other day, comparing the Pasadena building to the S&R building. Because both are done by same architects, maybe? Thanks for posting all the beautiful photos of this great building. Yes, MacKie & Kamrath were the architects on both First Pasadena Bank (1962) and Science and Research (1969). S&R was my favorite building at UH. I was lucky to have about five classes there. I always took my Fortran punch cards there to be entered into the computer to see if I had punched all the holes correctly. It would take 15 to 30 minutes on every attempt so I would often get an icecream sandwich and eat it while sitting on the floor in the lobby, just soaking in all the details. S&R was only eleven years old then but it seemed much older. It has the same stained glass details shown above in the stairways. I can still remember the smell of the floor tiles and rubber edging in those hot stairways. 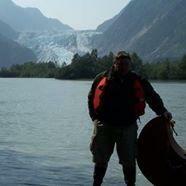 This was my favorite classroom. I remember seeing a reduced floorplan for First Pasadena Bank and there is much more to it than just the tower. There is a large half circular portion around the rear and sides of the tower. This portion may have a basement with cafeteria. A filmmaker has indicated she will soon be producing a documentary about the bank building. This building is absolutely wonderful and needs to reclaim its position as the symbol of Pasadena. The city should buy it for their city hall. From the 1969 Cole's Directory, the building was leased mostly by doctors, attorneys, and insurance agencies. The architecture firm of Ressler & Applebaum were there. They were founded in 1963 and are now known as RA Architects. Perry Ressler is deceased. Hy Applebaum, first certified in 1958, continues the practice. Is this confirmed? Any name(s)? Yes, MacKie & Kamrath were the architects on both First Pasadena Bank (1962) and Science and Research (1969). According to Pasadena Mayor John Manlove, Pasadena is gearing up for revitalization. Part of this revitalization, said Manlove, will possibly come in the form of destruction. "Officials however, think that steps taken with the Bank One Building might be the first of many that could lead the north side of Pasadena down the road to rejuvenation and revitalization: a revisitation of the bustling, lively city that was Pasadena in the mid 20th century." of the bustling, lively city that was Pasadena in the mid 20th century"!?! the capitan was brought back to life by someone interested in its history. it was also run down prior to being restored. or community college in them. you could also see many more boxes throughout the room. the marquee looks great --- the rest, not horrid but in disarray. thanks for the update - so who wants to protest? just think with the trend converting buildings no longer profitable for corporate use to residential, this building would be perfect. Pasadena preservationists can rest easy. Or at least more easily than they might have a few months ago. Pasadena's former First Pasadena State Bank building, a 12-story landmark at Southmore Avenue and Pasadena Boulevard, will apparently be spared the wrecking ball. Important reasons for saving the building are its beauty and architecture, Reed said. 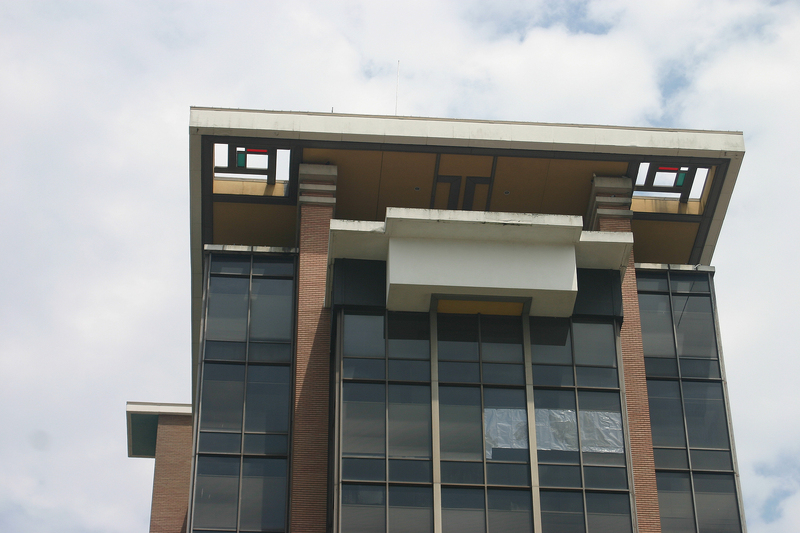 Many people have noted that the building's style is reminiscent of Frank Lloyd Wright, the architectural icon who died in 1959 at the age of 92. Two of the bank building's architects, Houston-based Frederick James MacKie and Karl Kamrath, were influenced by Wright after Kamrath met Wright in Chicago in 1946, according to the Handbook of Texas Online. 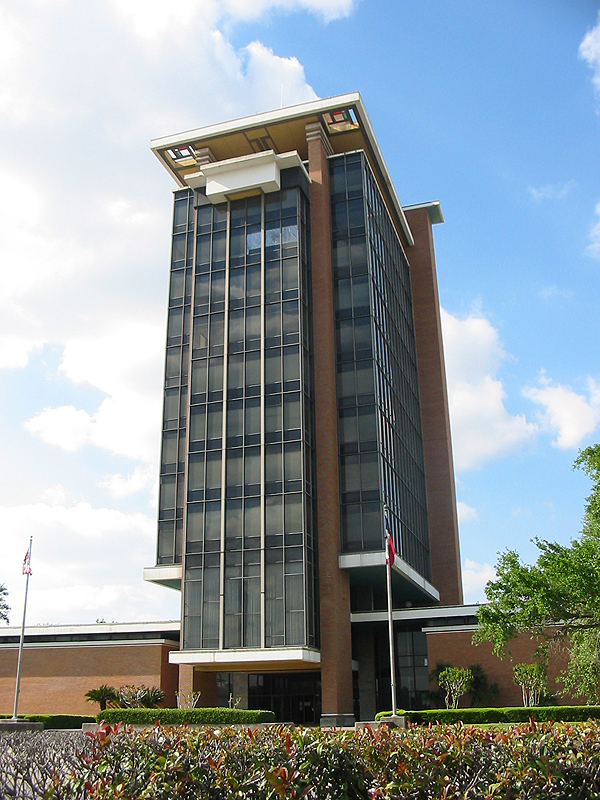 Kamrath and MacKie designed the Pasadena bank building in conjunction with their colleague Lloyd Borget and Pasadena architects Symond E. "Buddy" Doughtie and Jack Porterfield. notice though it said "apparently" spared and not definately spared. somewhere down the line...when we least expect it....someone may drive a crane with a wrecking ball over there at midnight on a sunday. at least there seems to now be an awareness and some acknowledgement of its architectural and historical value.